Birmingham Children's Hospital works under the NHS Trust and provides a wide range of general and specialist health services to children and adolescents within the West Midlands and beyond. The Hospital is renowned for its health services and it enjoys an international reputation in specialist areas including liver transplantation, cardiac surgery and neonatal surgery. The Birmingham Child Hospital is one of the only two centres in UK, with a liver unit designated for small bowel transplantation whilst the heart unit is one of the best for congenital heart disease. The NHS trust of the hospital also enjoys Child and Adolescent Mental Health Services (CAMHS). 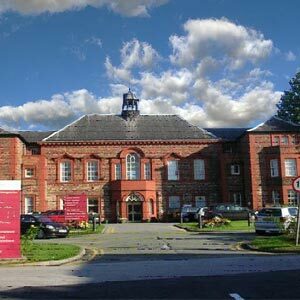 The hospital has the Country's largest Oncology unit for children alongside a single largest Pediatric Unit in UK. The hospital has pioneered the first-ever successful pediatric triple transplant, the world's smallest pacemaker on a three day old baby and a neuro-navigation system which provides image-guided surgery for children with brain tumours and other neurosurgical conditions. The hospital has also succeeded in separating conjoined twins (joined at the base of the back), in 2001. This was the first operation of its kind in the United Kingdom. The Hospital was started in the early 1800's as a general free hospital serving adults and children. Later in 1937 the babies' block was formed and the Birmingham Children's Hospital was the first hospital to treat a child with rickets by administering cholesterol to supply the necessary vitamins. In 1948 the hospital was taken over by the NHS trust and formed a part of the teaching group of Birmingham United Hospitals. After 130 years of its service at various locations, the hospital returned to the site of its first home in Steelhouse lane in 1998. The relocation aided the provision of child healthcare, both in the hospital and in the community. The hospital is situated in Birmingham's city centre and is quite easy to reach. New Street, Moor Street and Snow Hill stations are within walking distance of the hospital.